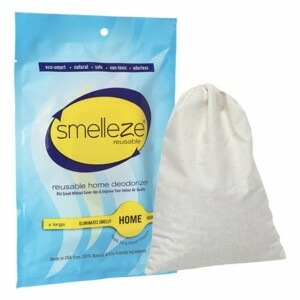 ODOREZE Eco Hardwood Floor Odor Neutralizer: Makes 64 Gal. ODOREZE Eco Hardwood Floor Odor Neutralizer: Makes 64 Gallons to Clean Urine Stench Summary Get rid of natural hardwood floor smells using the power of nature. Odoreze™ Natural Hardwood Floor Odor Remover Spray removes floor odors without harmful fragrances. This bio-based green concentrated deodorizer makes 64 gallons & really works! Floor vapor, floor fumes & floor stink doesn't stand a chance. 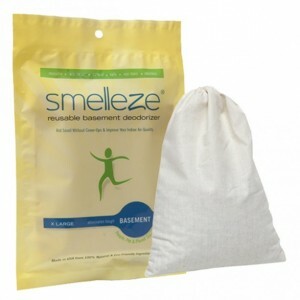 Features & Benefits • Removes floor smells instead of masking them • Bio-based deodorizer made from natural ingredients • No carcinogens, phosphates or harmful chemicals • Biodegradable, non-toxic, eco-friendly & effective • Economical- only costs 45 cents/working gallon • Made in USA Unleash the Deodorizing Power of Nature™ Odoreze™ hardwood Floor Odor Control Spray is formulated from a unique blend of natural and environmentally friendly ingredients to provide a powerful deodorizing action. It was specially developed to attack and destroy many unpleasant floor odors from chemicals, spills and accidents. To Unleash the Deodorizing Power of Nature™, simply spray Odoreze™ on your floor and smell the difference! As an added benefit, it will also help dissolve grease, slime and other waste deposits to provide a cleansing action.